We love sensory bins, and lately my boys have been requesting to play with rice. With Easter coming up I decided to make a festive colored rice bin. We had so much fun with our Valentine’s Sensory Play with colored rice, and I knew they would love the idea of using plastic Easter eggs with the rice. This time I tried something new when I dyed the rice. 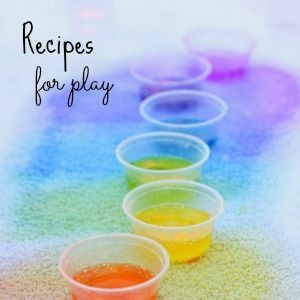 Play Create Explore discovered a new ingredient to mix with rice to make it colorful and scented. 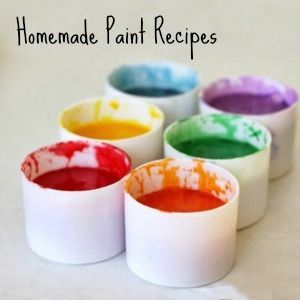 To make Homemade Colored and Scented Rice for Sensory Play visit Play Create Explore. It was so easy, and the rice smells amazing. I varied my method slightly, because I prefer to use vinegar when dyeing rice or pasta since my toddler twins still like to taste everything. 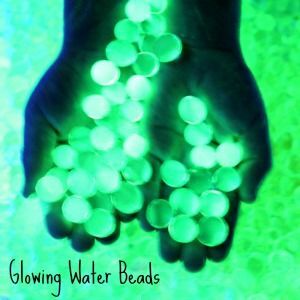 Last year we had so much fun with our Water Beads and Easter Eggs sensory bin with lights. J-Bug (then 2) was so delighted each time he opened an egg and found a light inside. I knew my boys would enjoy finding some surprises in the eggs this year. I found a pack of plastic coins at Dollar Tree in the Mardi Gras section last month. They were the perfect size to stuff in the plastic eggs. Playing with plastic eggs has many benefits. When open the eggs can be used for scooping and pouring as well as transferring from one half to the other. 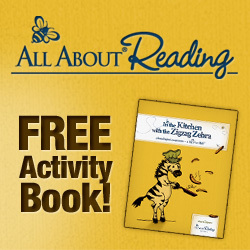 This is an excellent way to develop fine motor skills. Peanut (19 months) tried his best to close the eggs after opening them. This is another great fine motor exercise. JZ (5) loved mixing the rice and watching the colors blend. Tank (19 months) rubbed his fingers over the rice for a long period of time. Peanut was fascinated as he repeatedly scooped rice into an egg then watched it pour out into the bin. J-Bug (3) experimented with sounds by filling the eggs with rice and shaking. Then he dumped the rice and filled some eggs with coins and shook them. Then he put some rice and some coins in an egg to hear the sound it produced. 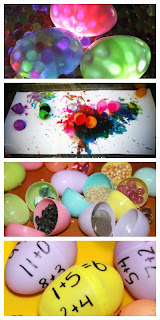 Last fall we filled plastic Easter eggs with various materials to explore the Sense of Hearing. At one paint Tank grabbed a handful of rice and threw it on the concrete. 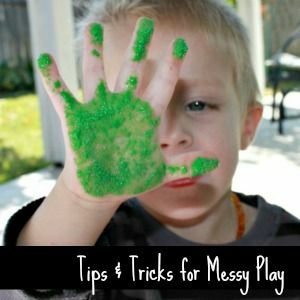 As I mentioned in my Tips and Tricks for Messy Play post, establishing boundaries with sensory play is important. When we are outdoors I don’t really care if rice gets all over the patio, however, we often bring sensory bins inside. We have seen a whole lot more rain this year than in past winters, so it’s important to me to keep the boundaries consistent. 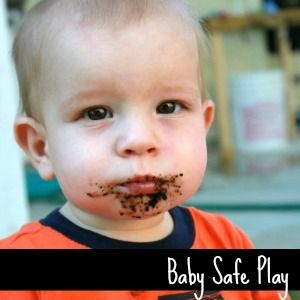 My older two boys know the difference between indoor and outdoor play, but at 19 months I prefer to stay consistent with the rules to keep sensory play fun and stress free, even when inside. When my children want to take items out of sensory bins I provide them another container. This way they have an outlet for their impulses. Tank was delighted with the smaller bin I gave him, because it made a loud noise when he threw the rice into it! Of course, as with any play, some rice is still going to spill. Accidents and messes happen. I don’t worry too much about a little spilled rice, but I want to teach good habits. Sensory bins are fun and beneficial for children of all ages to explore. JZ loved scooping handfuls of the rice and letting it drop back into the bin. Tank grabbed a few of the coins and slid them on the concrete where some of the rice had fallen. He was mesmerized by the feel and sound made with the coins. Peanut used the extra containers I provided to transfer the plastic eggs back and forth. 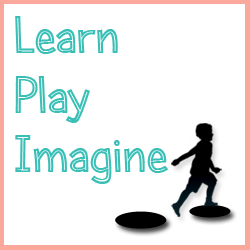 Rice provides such a simple way for little ones to learn through play. After a few days I will put the bin away and store the rice in reusable containers for future play. 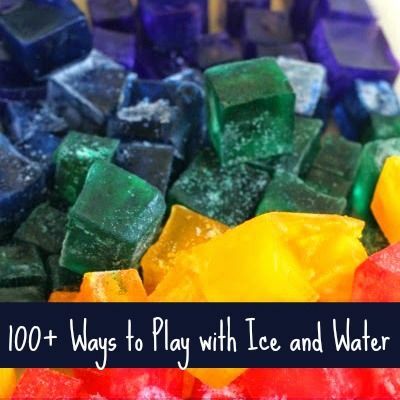 It is one of our favorite sensory materials that lasts for many months. 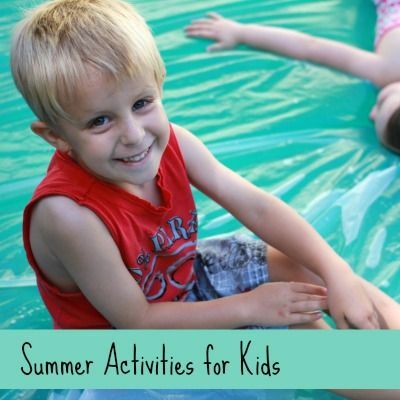 For more sensory bin ideas follow me on Pinterest. What a fun sensory bin. The colors of your rice are so beautiful and it looks like your boys had a really wonderful time with it. 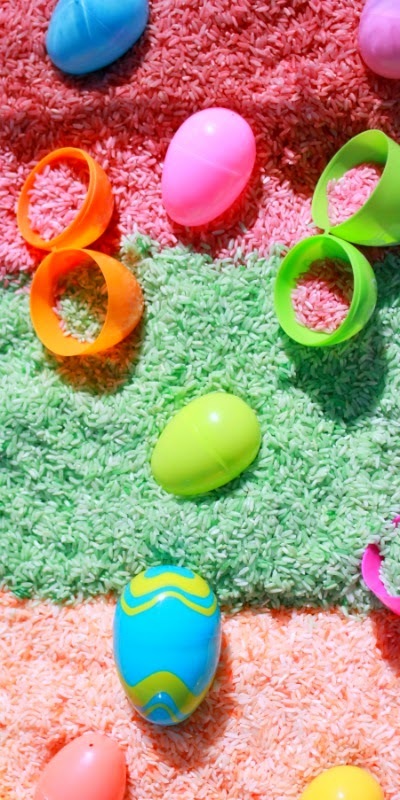 Just found your blog, and this is definitely the most fun I've ever seen with plastic Easter eggs! Can't wait to explore more of your earlier blogs. I'm just starting my own blog at the age of 59, and I know I can learn a lot from you! I LOVE your original photos of you wonderful kids. Keep up the good work sharing your light! What pretty rice! This sensory bin looks like a lot of fun. This is perfect! I have been planning a sensory bin for Easter, but hadn't decided what to do yet. 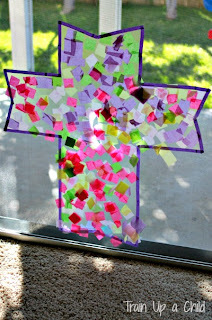 I'll be making this during nap time today for sure! Thanks. 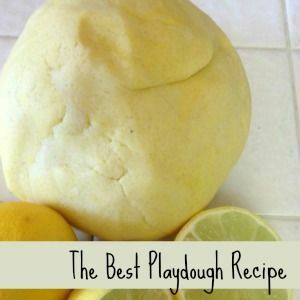 I'm thinking about adding this to my sensory play for Easter, just a bit worried my 20 month old will eat the rice... I suppose if I watch him clearly he'd be okay... I'd just hate him to think it was food!